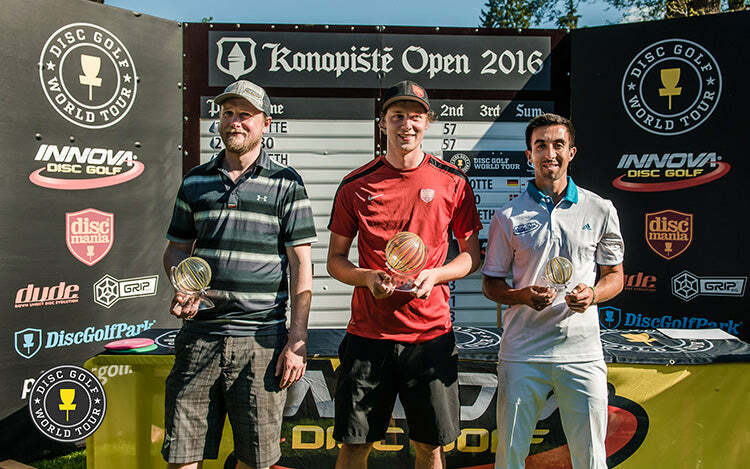 If you've been following the social media lately, you’ve probably already heard about the astonishing battle for victory we witnessed between the 4-time World Champion Paul McBeth, the defending Konopiste Open champion Karl-Johan Nybo and Team Discmania’s own Simon Lizotte. Leading the tournament going into the final round, Simon experienced somewhat of a slow start for the championship round and with McBeth and KJ were hitting birdie after birdie, for a little while it already looked like Simon was set on cruise mode for the 3rd place. With 2 holes to go, Simon was 2 strokes back of the co-leaders. Before his drive on hole 17, Simon mentioned to McBeth that he will need an eagle and a hole in one to tie the lead. Amazingly enough, Simon was able to throw in his 2nd shot from more than 50 meters for an eagle on the steep uphill hole 17, putting him 1 shot back of the leaders on the last tee. As both McBeth and KJ shanked their drives wide left on the 18th, Simon found himself with a 12-meter crosswind putt to force himself to a 3-way playoff. And sure enough, Simon’s P2 found chains and the crowd went wild. The playoff started on hole 1, where simon parked his MD3 next to the pin, while KJ left his drive just outside the circle. In a dramatic turn of events, McBeth, who had just returned his scorecard with the new course record, ran out of tricks up his sleeve by going OB long on the first playoff hole, shattering his dreams of being the 2016 Konopiste Open Champion. With the pressure on KJ, he managed to make his birdie putt and the 2 men proceeded to hole 17, where Simon had just moments before gotten the astonishing eagle 2. The 175 meter steep uphill hole is most definitely a Simon hole. Off the tee Simon crushed his PD2 way further than KJ, who still had a very respectable drive for any mortal. Distance does make a difference with the upshot though, as Simon was able to attack the green with his P2, while KJ had to use a TeeBird to reach the edge of the circle left of the pin. After nailing a huge putt on the first playoff hole, KJ doesn’t have one more in him on the 17th, leaving Simon with the easy task to take the victory by pitching in from about 4 meters. As pointed out by UltiWorld, Simon is the only person who has managed to beat Paul McBeth 4 times in an A-tier or higher event since 2014. No one on tour has been able to finish higher than Paul more than twice in the same time period. Last time Simon took the upper hand was only 3 weeks ago at the Nick Hyde memorial. Also on that occasion the winner was determined after a 3-man playoff. Sure enough, McBeth very well may be the greatest player we’ve ever seen in our sport so far, but it looks as the times of Paul not having any serious competition may very well be over. 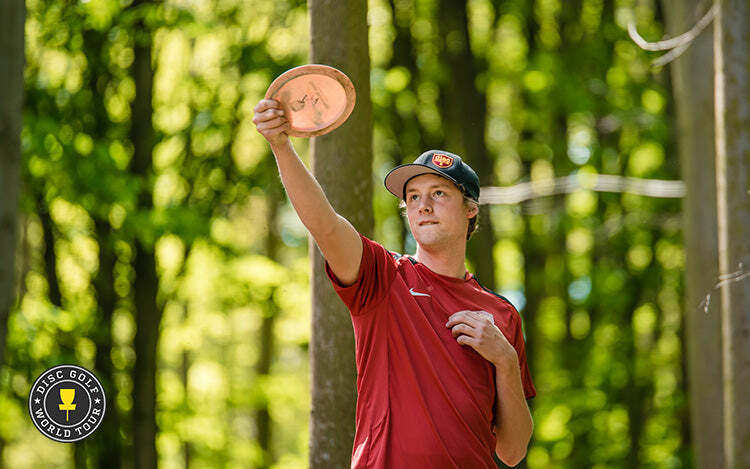 With 2 wins out of the last 3 events, Simon Lizotte is undoubtedly the hottest player on tour at the moment. Simon has always had the physique and technique to be on top, there’s no doubt about that. But the fact that he has been able to win the 4-time world champion, 2015 grand slam winner McBeth in playoff twice within just 3 weeks, speaks volumes of the mental setting Simon has been able to reach since his debut season on the US tour in 2014. After spending the late winter and spring the US, Simon is now back to his home soil in Europe for the summer. 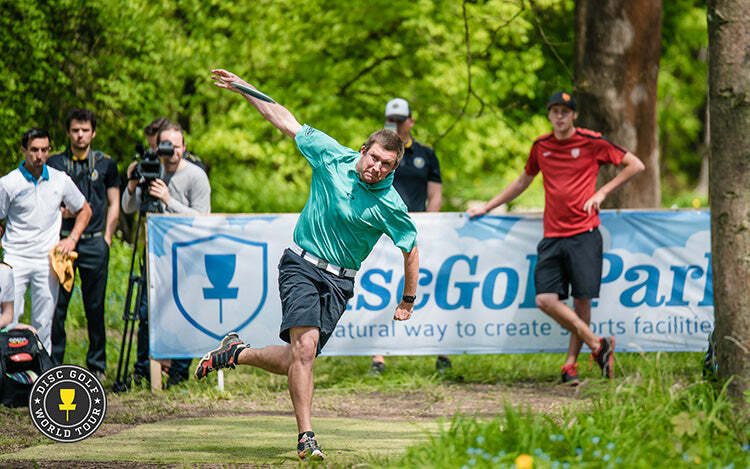 Next up in his schedule will be the Disc Golf World Tour European Open at Nokia, Finland. The European Open features a very different kind of course to what Konopiste Open had to offer, but it’s also a one where Simon’s distance skills can give him the advantage. 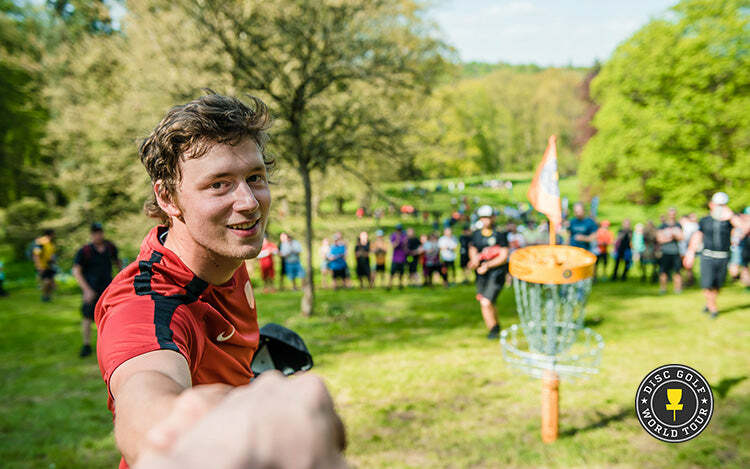 After McBeth winning the two previous European Opens (2013, 2015), we are very excited to see these guys battle it out on the 1st weekend of June at Nokia.